Overland Park-area car shoppers looking for a new INFINITI should look no further than the large inventory of vehicles at INFINITI of Kansas City. We have a wide assortment of models in stock from the top-rated INFINITI QX30 to the popular INFINITI Q50. If you're ready to upgrade your driving experience in Olathe, visit INFINITI of Kansas City and peruse our INFINITI models for sale in Merriam! 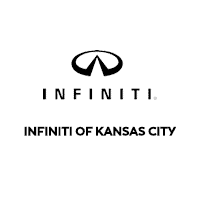 Why Choose a New INFINITI from INFINITI of Kansas City? Service coupons to save on your next routine maintenance. Our sales team is looking forward to getting you behind the wheel of the INFINITI that best suits your driving needs and budget. Contact us today with any questions or to get the process going!